This is a killer album. It’s a concept disc with three epic length pieces and several others that are still respectable in terms of length. The leanings on this album are widespread (Neil Young, Yes, Beatles, King Crimson), and the changes are so fast as to be difficult to keep track of at times. I’ve heard some great things about K2, but I don’t think I’ve ever heard K2 before. Well, I’m anxious to hear the rest of their albums. Day for Night is the fourth studio album from Spock`s Beard. The album is a departure from their earlier albums in that shorter numbers has replaced the fifteen-minute suites. Well, it isn't the Spock's Beard that we've all grown accustomed to. With Neal Morse's departure, the band bares little semblance to it's old self, but that's not to say that the band hasn't lost its edge. It's been years since I've gotten to see Spock's Beard live. It's not for lack of desire or anything. Considered by many to be one of the best of the new wave of progressive rock bands, Spock`s Beard was formed in 1992 in Los Angeles. I have to admit, I haven’t seen Spock’s Beard live since the departure of Neal Morse. While this wasn’t a conscious decision, I have to admit to some trepidation about how the band would sound without their former front man. Octane is accessible, progressive, modern and diverse. It's delicate at times, heavy at others. Images of Eden is a hard rock, heavy metal and progressive band founded in 1999 in the Baltimore, Maryland and York, Pennsylvania area of the USA. The band is lead by vocalist, rhythm and bass guitarist, and songwriter, Gordon Tittsworth, and includes; Dennis Mullen, lead guitar, L. Dean Harris, piano and keyboards, and Chris Lucci, drums and percussion. 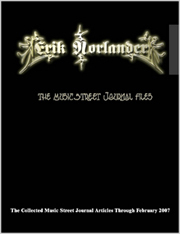 This album also includes guest musicians, Jackie Joyce, on vocals for “My Stigmata,” and Bryan Wierman, on bass guitar for “Crossed in the Sand” and “Tribal Scars.” Rebuilding the Ruins is the fourth album from Images of Eden and it tells an “ongoing story, portraying the journey through life, told in a very positive/ uplifting way.” Each of the band’s three previous albums are part of the same story, and this album picks up where Sunlight of the Spirit left off. This is an interesting story and album from a band that sounds original despite its obvious comparisons in sound to heavy prog bands like Dream Theater. The four album epic they have created gets a great boost from this chapter of the story. The parallels are amazing. A band, noticed for its work in progressive rock, releases for its sixth album an epic tale of a young man making his way in the world, only to have the band's lead singer surprisingly pack it in and leave the band. Spock’s Beard needs no introduction, as they are one of the highest profile American prog bands of the past 15 years. Most everyone out there reading knows their story, and how eerily it mirrored that of Genesis; following an acclaimed double length concept album, vocalist Neal Morse leaves the band, and drummer Nick D’Virgilio takes his place at the microphone. This album shows influences from many prog directions (Yes, Genesis, Alan Parsons) and nonprog directions (metal, Elton John). . The fifth album from Spock's Beard shows them to be at the forefront of current progressive music. In this album the band is able to play exciting, adventurous music without ever becoming self-indulgent or pompous. Spock’s Beard is prog rock’s pop equivalent. Dream Theater is prog rock’s metal equivalent. 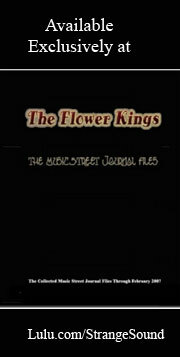 And The Flower Kings are prog rock’s jazz equivalent. So what is GPS? I’ve followed Spock’s Beard for quite some time and have always enjoyed their music. From the start they’ve had a great ability to merge more pop oriented sounds with pure progressive rock.